WESTLAKE VILLAGE, CALIF. – Journese continues to grow its Mexico presence by adding the brand new Montage Los Cabos - a five-star resort along the sweeping shores of Santa Maria Bay, in the renowned Twin Dolphin master-planned community, opening May 31, 2018. 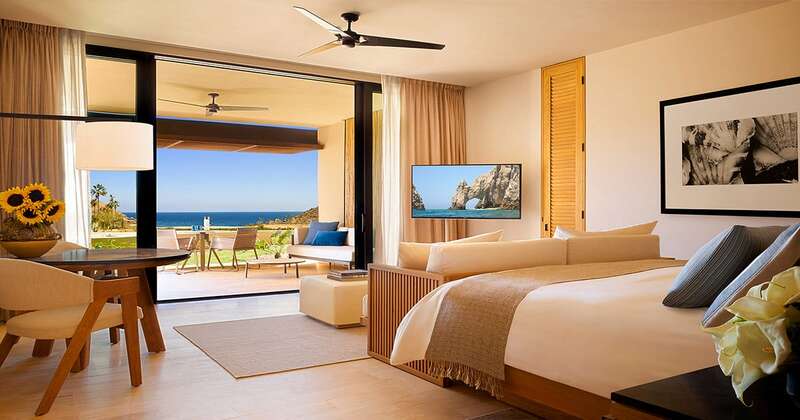 With onsite access to a swimmable beach, this sophisticated resort celebrates contemporary living with sumptuous accommodations woven into the natural landscape and ambience of Los Cabos. The resort features 122 guestrooms and suites, plus 52 resort-style Montage residences. Privileged guests will delight in refined artisanal cuisine, three pools, signature Spa Montage, Fred Couples Signature Golf Course at Twin Dolphin Golf Club (opening November 2018) and an immersive children’s program, Paintbox, for endless sun-splashed adventures. Plus, travel agents will benefit from the real-time rates, availability and confirmations Journese offers with Montage Los Cabos. Los Cabos offers stunning blue waters, dramatic landscapes and endless recreation, all infused with an incredible culture. To celebrate the addition of the new Montage brand partner in Los Cabos and with its grand opening this month, travelers will receive every fourth night complimentary through December 20, 2018. Alternatively, advisors can opt for the Grand Opening Stay & Play offer that features a $100 Resort Credit per night for guest rooms and $300 Resort Credit per night for stays in Suites or residences, valid for travel through September 30, 2018. Travel advisors will also enjoy a group booking bonus up to $4,000, plus Future Travel Credit for their clients up to $2,100, when booking their groups to Montage Los Cabos. The resort also offers the ideal scenery for destination weddings, and travel advisors can earn bonus TRIP points, and travelers will enjoy an air credit, when booking weddings with Journese. Continuing to provide expertise, value and authentic journeys with boutique concierge service and an extraordinary worldwide portfolio, Journese travelers can also experience Montage Kapalua Bay, Maui, offering the aloha spirit of Hawaii with a tropical blend of relaxation and rejuvenation; and Montage Deer Valley, Utah, a majestic alpine gem, ideal for winter sports. Αναρτήθηκε από geop στις 8:34 π.μ.